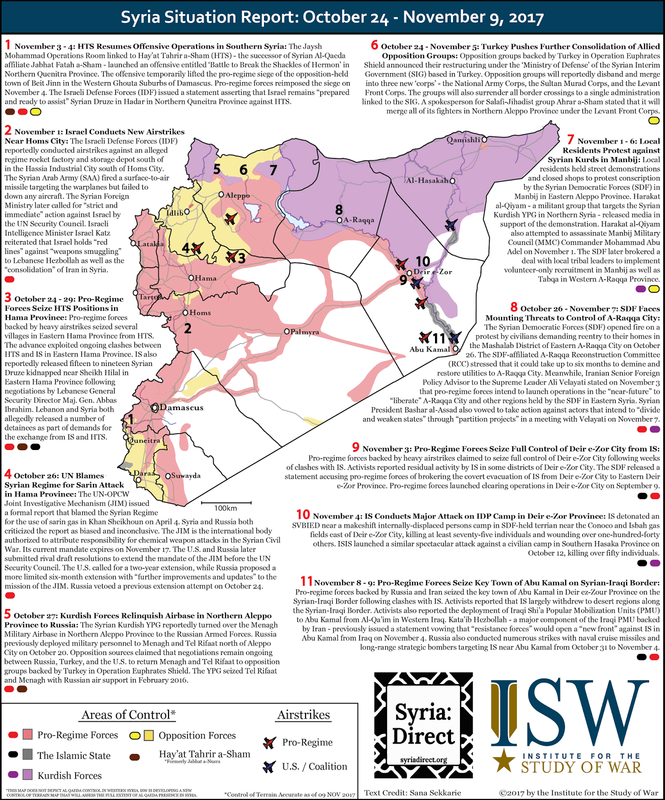 This graphic marks the latest installment of our Syria SITREP Map made possible through a partnership between the Institute for the Study of War and Syria Direct. This graphic depicts significant developments in the Syrian Civil War from October 24 – November 9, 2017. The control of terrain represented on the graphic is accurate as of November 9, 2017.